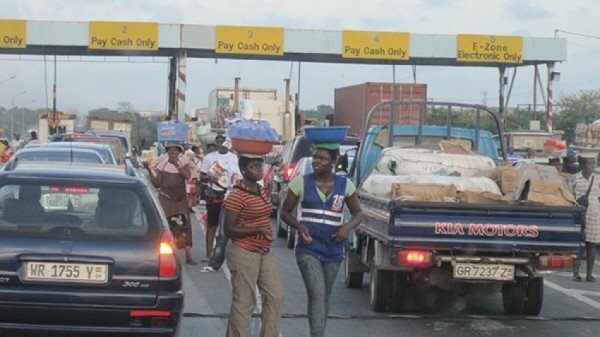 Roads and Transport Minister, Kwasi Amoako-Atta, has directed road toll collectors to insist on taking tolls from ministers of state. “I have heard some people get to the booths and they say I’m managing director or that, and so they just pass. All the toll booth collectors in this country have been instructed that every single individual in Ghana, no matter who are you, you are to pay tolls if you are a minister you have to pay, if you are managing director you are to pay. “I’m the Roads minister now by the grace of God, anywhere I pass, you can ask my driver I pay my tolls,” he told the media Thursday. According to Mr Amoako-Atta, apart from a few selected individuals in the country, all citizens are required by law to pay road tolls including ministers. “It is important that we sharpen our competence in road toll collection because road tolls are the second highest contributor to the Road Fund. The highest contributor to that fund is the fuel levy. If you take all the toll booths in the country as at now, we have 35 of them nationwide and out of this 35, it is only four that are automated and the four are the Ngleshie Amanfrom, Accra Plaza, Tema Plaza and the Amasaman booth. “What I will do to improve on the toll collection is to improve on the automation of many of them as possible. I will ensure that those that can be automated will be automated to improve toll collection,” the Minister said.